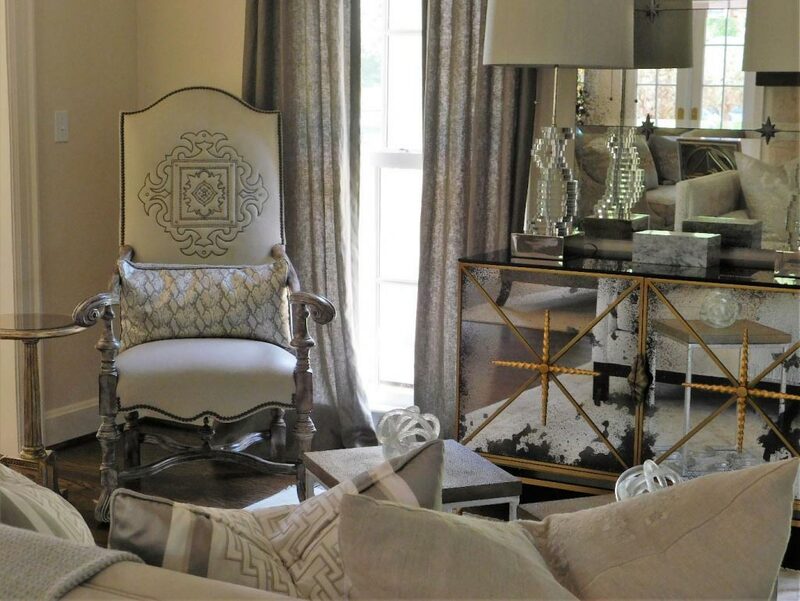 Mathison Interiors specializes in creating a custom decorated home to fit your needs and desires. We have worked with many clients over the years that have specific tastes and requests. 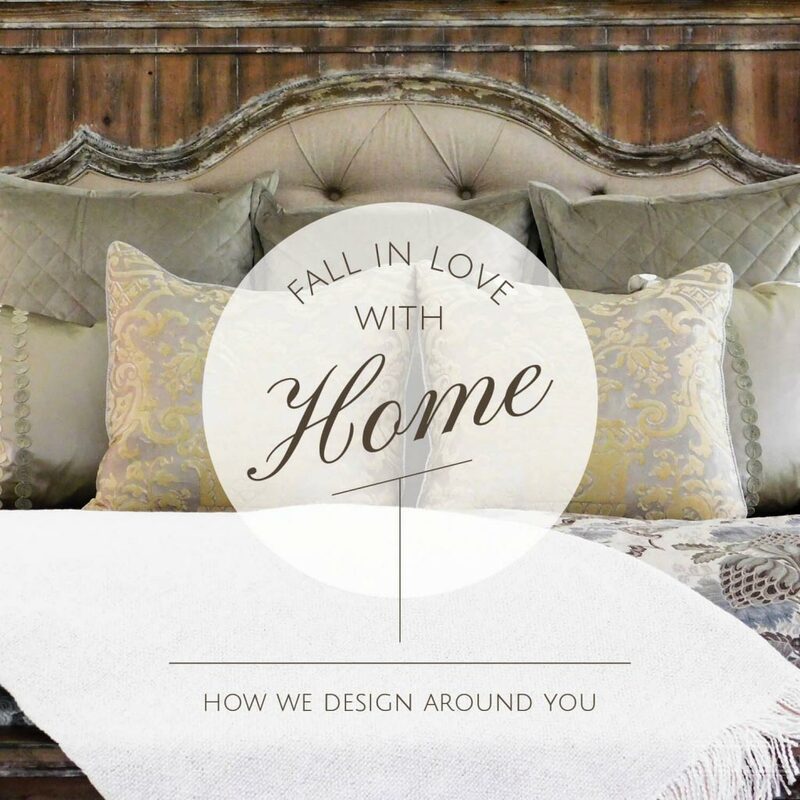 Whether you love traditional, transitional or modern design, our team is committed to making your home “you”! It’s our pleasure. 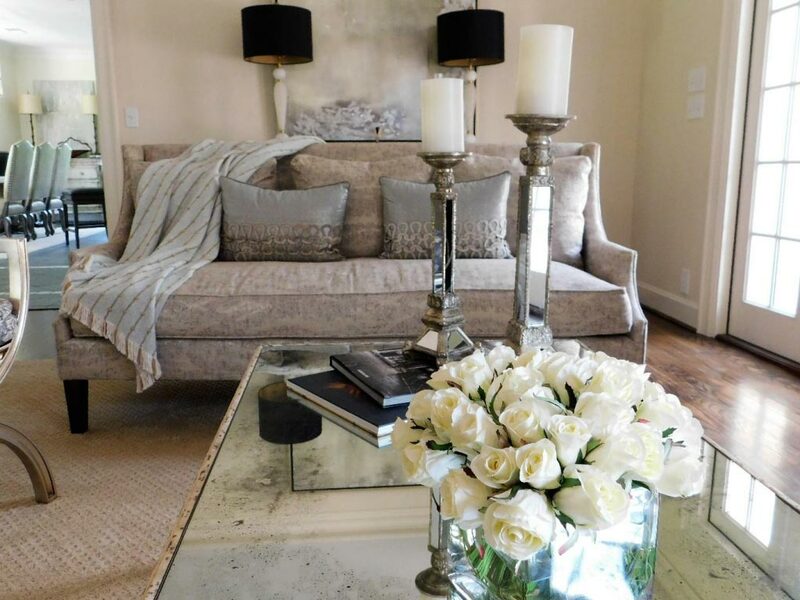 When someone is interested in having their home decorated, we always begin by interviewing the client as well as visiting the home or space they wish to decorate. This helps us understand both our client’s needs and their personal design style. 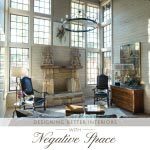 We ask the client what they are looking for in way of function and style, and then we work out a plan by taking into consideration the size of the room, the items they wish to keep, and the client’s budget. 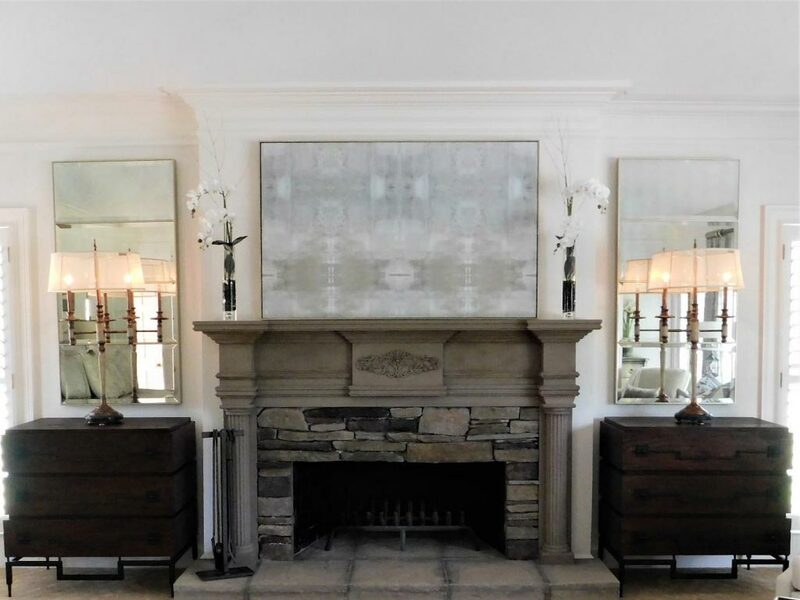 As we walk through their home, we may have several pieces in mind, but we always arrange to meet the client at our showroom as well, so they can have a chance to walk through and choose pieces that really speak to them. Keeping the client’s design wishes in mind, we always look for ways to implement their existing furnishings in order to stay within their comfort zone. It may be hard to look past what you have had in your home for years, but we try to work within your existing style and select pieces that will help elevate your home’s overall design. 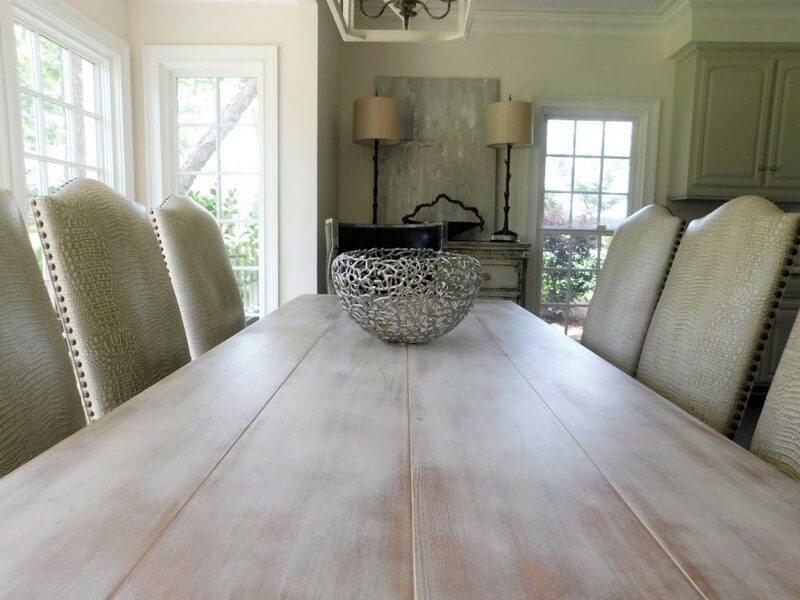 Other clients might come to us needing an entire home furnished, which allows us to start with a clean slate. This particular client had a large family and needed an eating area big enough to accommodate everybody. They wanted a kitchen table that was kid-friendly and durable, without compromising the beauty of the kitchen. 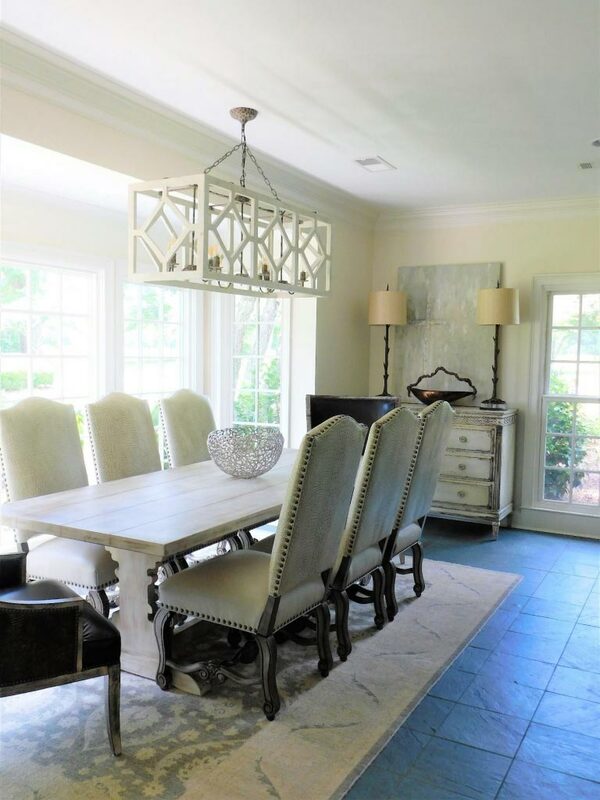 We chose these leather chairs because they are easy to clean and gave the homeowner the charming look she loved. The table needed to be sturdy, strong and able to weather the activities of a busy household. This rustic table was the perfect choice. 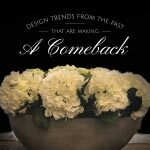 It has a white-washed, antiquated look, helping to mask the natural wear and tear of a big family while still remaining pretty and fresh. We incorporated a chest into the space and replaced the mirror with a large painting because there were so many open windows around the kitchen. On the table, we used only this lovely silver bowl as an accessory so it can easily be removed for dining, school projects and family game night. This dining area also keeps in tempo with the modern simplicity of the rest of the kitchen. 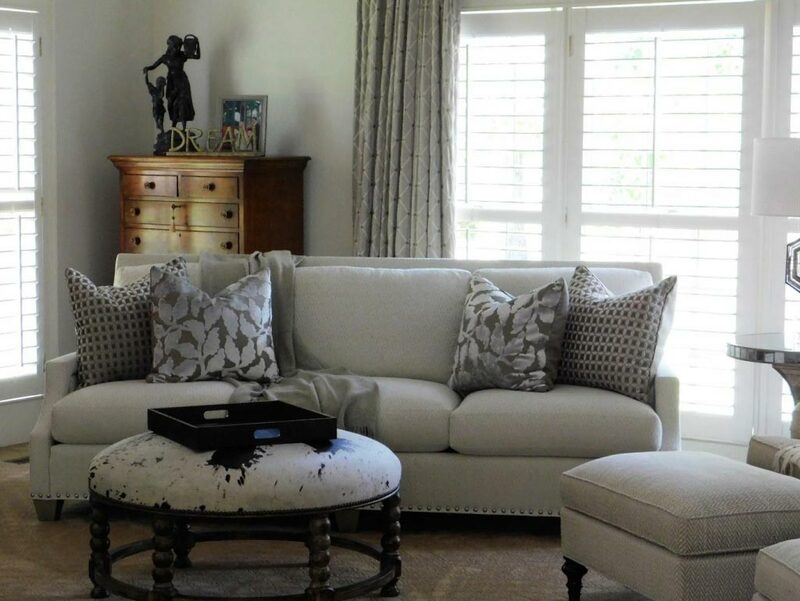 This client wanted her living room to be very simple and refined, with notes of sophistication. The area of the space was large, lacking coziness and functionality for guests. We introduced two seating areas with sofas and chairs and added a lot of mirrored pieces, which our client adored. Our scheme for the colors was in line with the colorways of the kitchen, creating a pleasing visual transition from one room to the other. We added pillows and throw blankets, bringing the mineral blue tones into the room. On one side of the room, we chose not to add draperies because of the amazing lighting and views provided by the French doors. 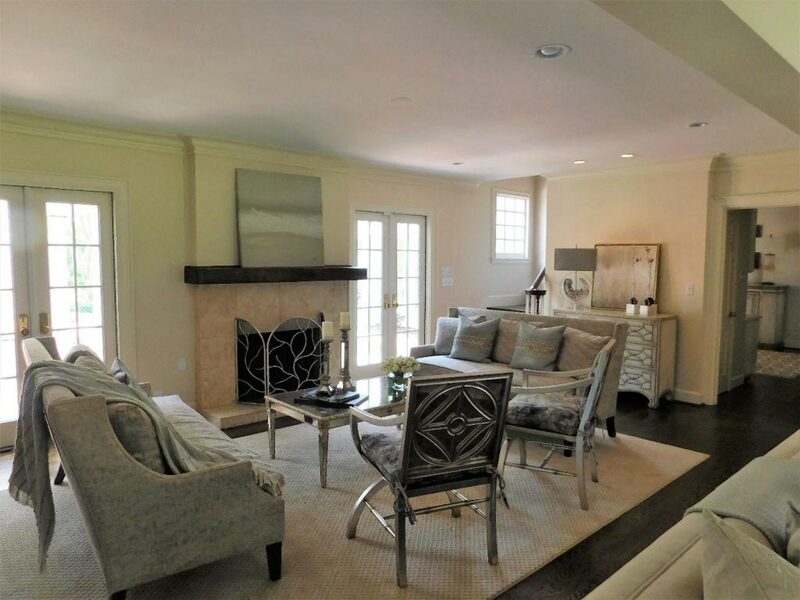 We used very simplistic modern artwork over the mantel and throughout the rest of the home. Staying within the homeowners’ preferred color palette, we were able to really create a serene and beautiful living space. We recently completed the master bedroom in this home. Our client had an attachment to the existing bed, nightstands and lamps, so we worked around those elements while adding new ones. 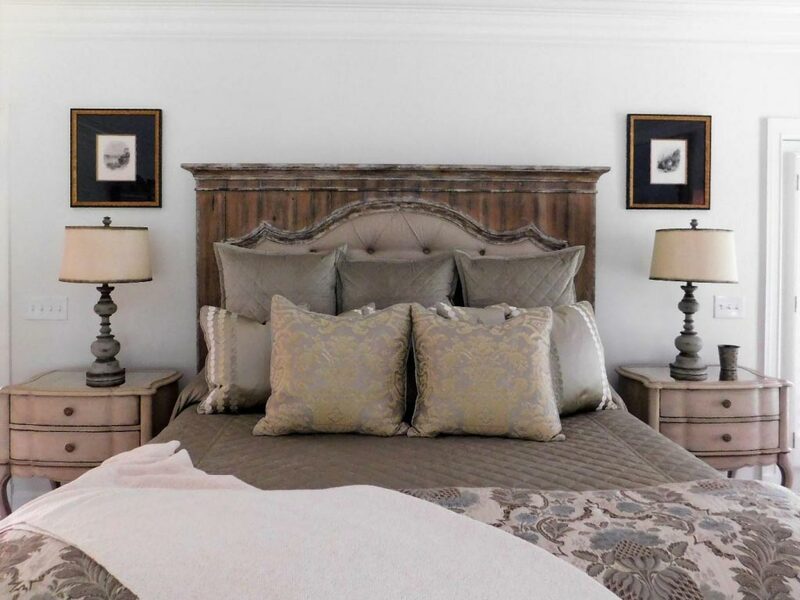 Considering her husband was more traditional, while the wife had a more contemporary taste, we had to find a way to mix and match both of their personal styles in this bedroom. In the end, the result worked really well and satisfied both of them. 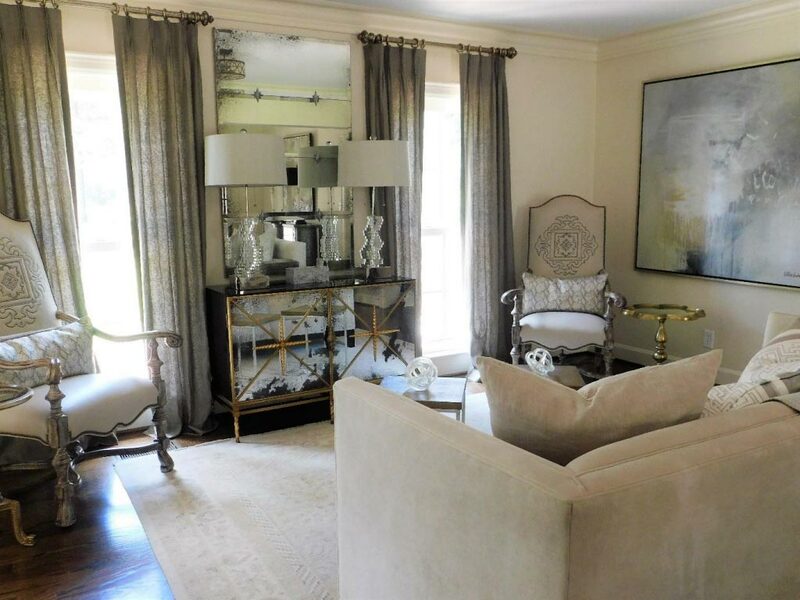 We used large mirrors above the chests to help reflect light and bring the beauty of the outside in. The rustic fireplace went really well with these chests and this white modern sofa. The added living area is the perfect spot to sit and converse with each other in the evenings or catch up on a great book. 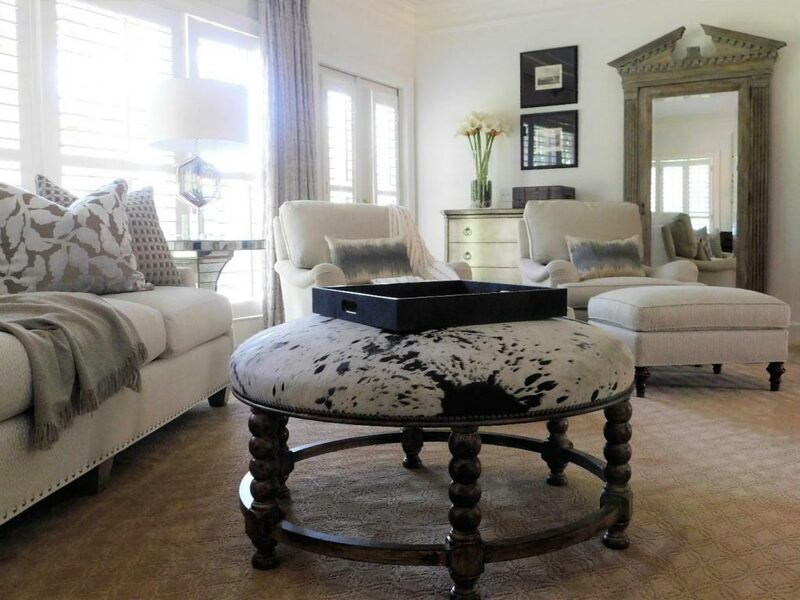 We were able to blend the antique chest and etchings with custom frames while using the contemporary sofa and chairs to give the room a modern touch. The juxtaposition of the two styles is absolutely stunning. Need help with your home? Book a consultation!